With the holiday season over, it’s now time to talk about the upcoming tax season. Getting advice from a professional is critical to your financial success. IRA’s, annuities, stocks, mutual funds, bonds, life insurance, etc …. it can quickly become very overwelming for many people. The IRS laws are constantly changing and its best to put your hard earned money in the hands of a financial professional – to give you sane advice and peace of mind. 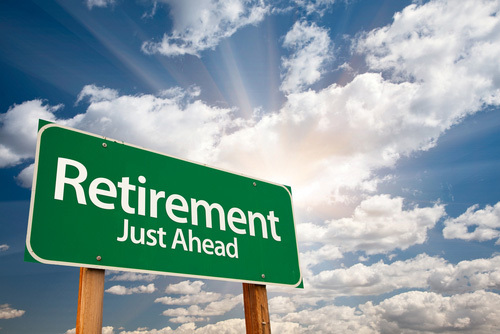 Recent surveys show that IRAs and annuities continue to grow as popular retirement investment options. But beware that there are some significant disadvantages you should be aware of. Annuities are onother popular investment vehicle as they offer a potential guaranteed income stream into the future. In the second quarter of 2013, annuity sales increased by 10 percent. In addition to Jim Kohles, wealth management advisor Haitham “Hutch” Ashoo of CEO of Pillar Wealth Management and attorney John Hartog of Hartog & Baer Trust and Estate Law all agree that placing large sums of money in either annuities or IRAs can have serious tax consequences for your heirs. Also, take advantage of the lower tax rates you enjoy today, particularly if they’re going to skyrocket after your death. “A lot of people want to pay zero taxes now and that’s not necessarily a good idea,” he says. An example is if you’re at that upper level, consider converting your traditional IRA to a ROTH IRA and paying the taxes on the money now so your beneficiaries won’t have to later. • Consider spending down your tax-deferred IRA early. If you’re in the group with $5 million/$10 million assets, it pays to go against everything you’ve been taught and spend the IRA before other assets, says attorney Hartog. • No matter what your estate’s value, avoid investing in annuities. Wealth management adviser Ashoo warns annuities, offered by insurance companies, can cost investors an inordinate amount of money during their lifetime and afterward. “Insurance companies try to sell customers on the potential for guaranteed income, a death benefit paid to beneficiaries, or a ‘can’t lose’ minimum return, but none of those compensates for what you have to give up,” he says. That includes being locked in to the annuity for five to seven years with hefty penalties for pulling out early; returns that fall far short of market investments on indexed annuities; high management fees for variable annuities; declining returns on fixed-rated annuities in their latter years; and giving up your principle in return for guaranteed income. “If you own annuities and have a substantial estate, there are smart ways to unwind them to minimize damage,” Ashoo says. If you are seeking sound financial or tax advice, please contact The Life of Luxury and we can put you in touch with an investment professional in your area.